For each major holiday I create an outfit for my daughter. This year I came across these super cute black and red lace heart jeggings in Walmart. 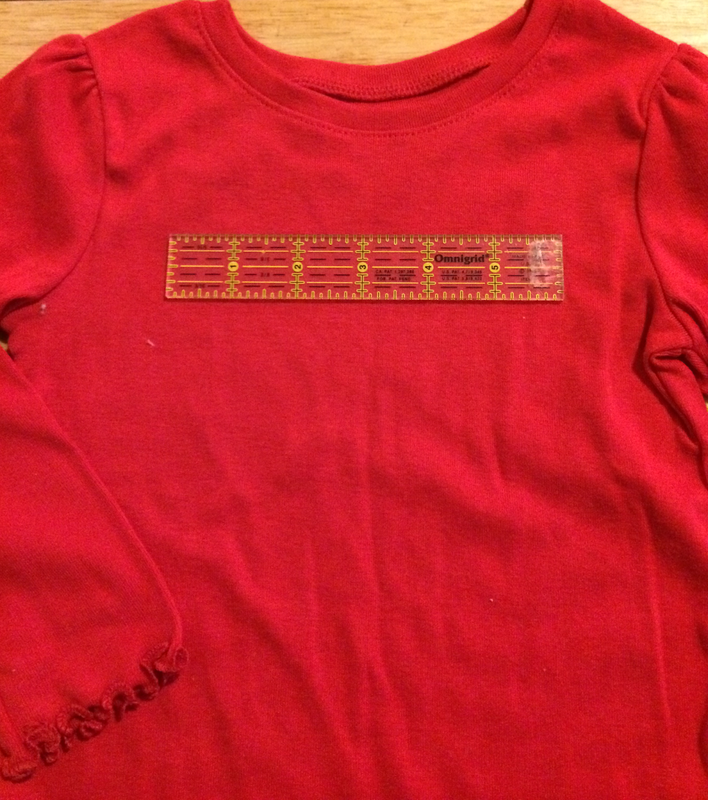 I wanted to make a shirt to match so I purchased a plain red long sleeved shirt. 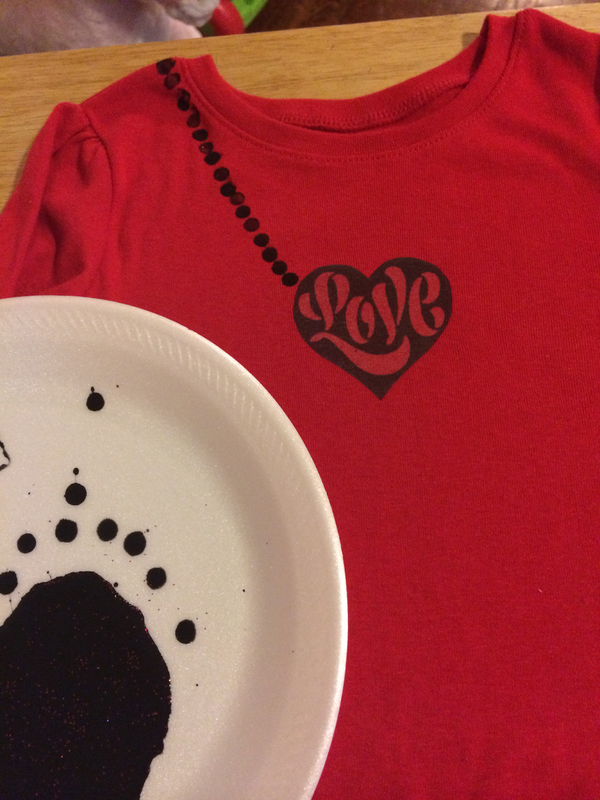 I wanted to decorate the shirt so it looked like she had on a necklace with a heart pendant. Take your shirt and figure out where you want your pendant to be. Measure how big you want your pendant to be. I made mine 2 1/2" x 2 1/2". In an image editor, open a file the same size as your measurements above. Paste the image you found in the file you just opened. That way when you print out the image it will be the exact size you want it. 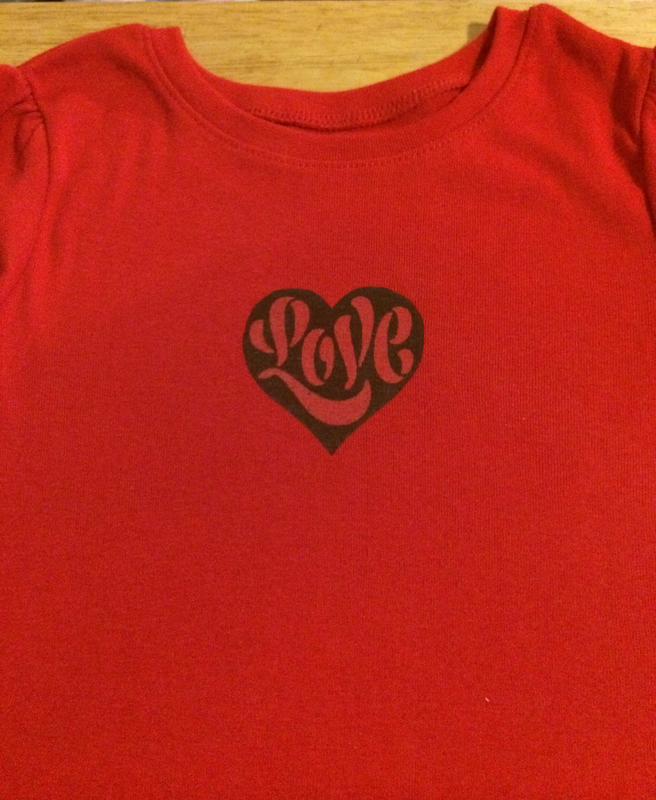 Print out image onto iron on transfer paper. Make sure you put the paper in the right way. Cut out the heart from the paper you just printed. Place picture side down on the shirt. 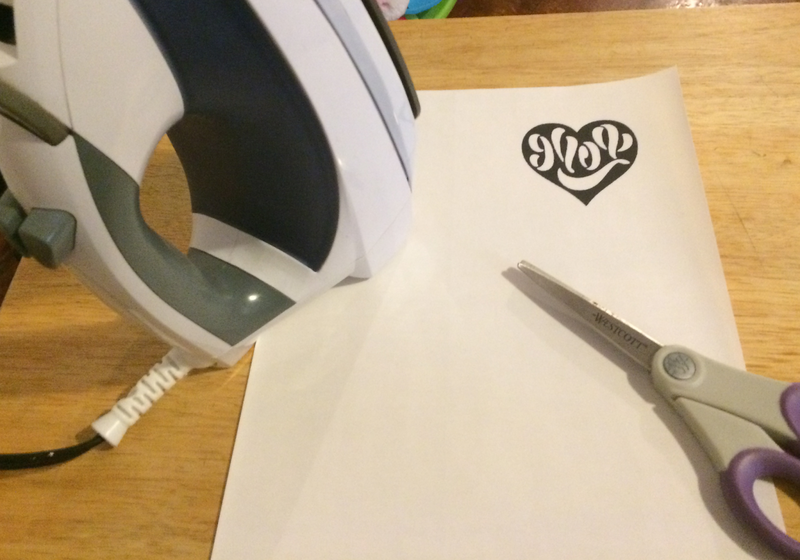 Follow the iron on transfer paper instructions to iron it on. Let it cool a little bit before you peel the paper backing off. Using the disappearing marker draw a line from the shoulder to the pendant where a chain would be. Squirt some paint onto the paper plate. Using the pencil eraser dab it into the paint then make circles following the line you just drew. If you make one of these, I would love for you to leave the link in the comments section. How freaking cute is this?! I think I know what we're doing this weekend!! That is adorable! I might have to try and make it into an adult shirt because I would so totally wear something like that! And one in white (for a red heart) for myself, of course. that is so super cute! I wish I was that crafty!! Sure beats paying extra for nice shirts when you can just make them yourself! How cute!!! I will have to find one that would work for my boys but this is such a great idea! This turned out so cute. I love this idea. My six year old would love it too. Thanks! That's pretty cool! Great tip about mirroring the image! I would have absolutely messed that part up. This will be enjoyed by kids - just help them on the ironing parts. The shirt is so simply pretty when done. 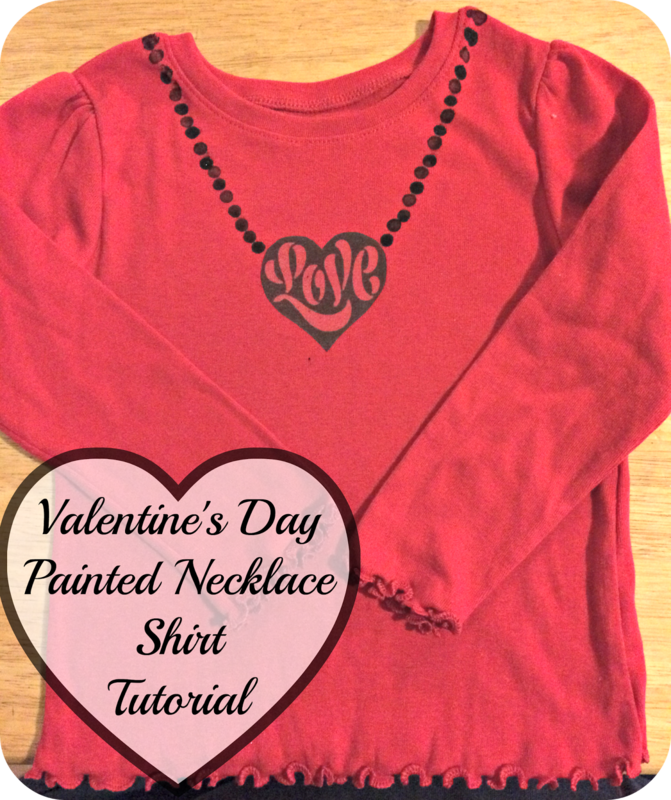 This is such a fun Valentine's Day craft!! Adorable! Love the necklace design. What a cute shirt for the holiday! love it! This is so cute! I love the design you picked out! Aww! This looks so cute and adorable. Love it! That is a very cute idea.. I am sure my daughter would love doing this. Awwww! That is so sweet! 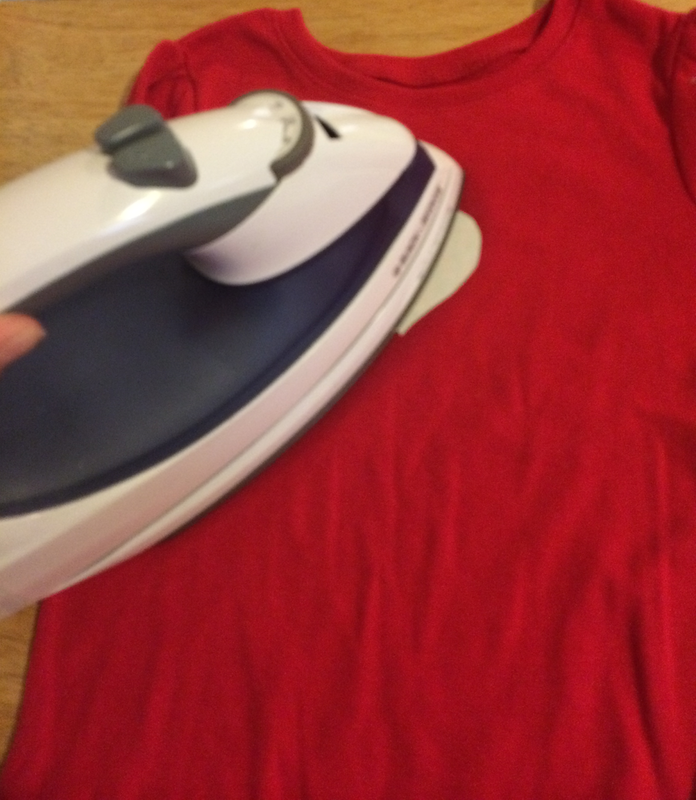 I am glad your iron -on worked well.I have had some that do and some that don't. What a super cute idea, makes a nice accent to a plain shirt! This is adorable. I wish I had the stuff on hand to do this. It would make a great snowed in project with the kids. That is so super cute! Thanks for sharing the how to! I wish I was crafty! Would love to work on projects like this! I love the #10 design :-) . Cute and I wish I was that creative. That is pretty cool. I wonder how it would wash up though. These are very pretty!! Great idea! They came out great and are a perfect activity to keep a few children busy for a small valentines party! Love it! The Viral Site best design , loved it !